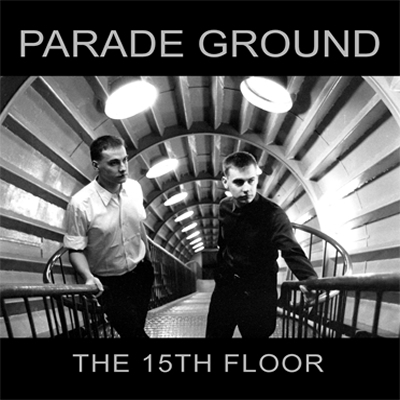 Following the issue of 'The Golden Years' compilation which was released last year through Dark Entries Records, Parade Ground have returned with a new album entitled 'The 15th Floor'. The album was originally recorded in 1989, but it was never released. 'The 15th Floor' features 12 tracks and it comes as in a limited edition of 520 hand-numbered copies, 180 gram vinyl plus insert with notes from Colin Newman (Wire) and Patrick Codenys (Front 242). The album is available on pre-order and it will released on May 25, 2012.